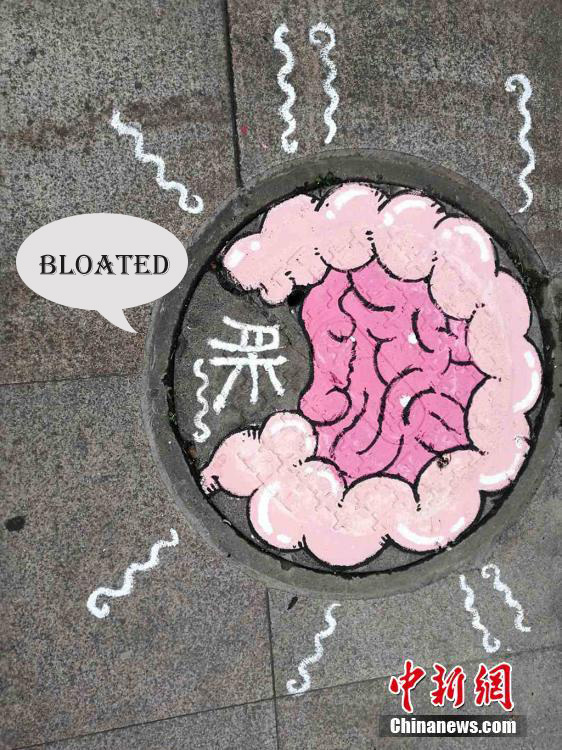 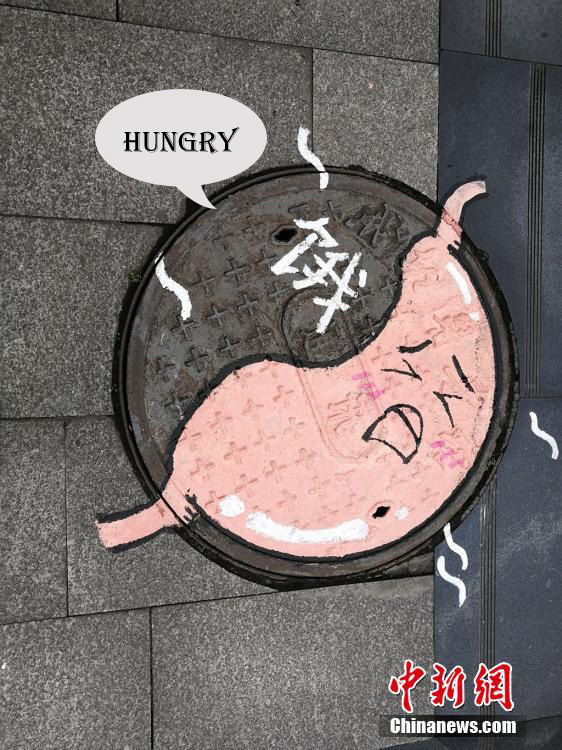 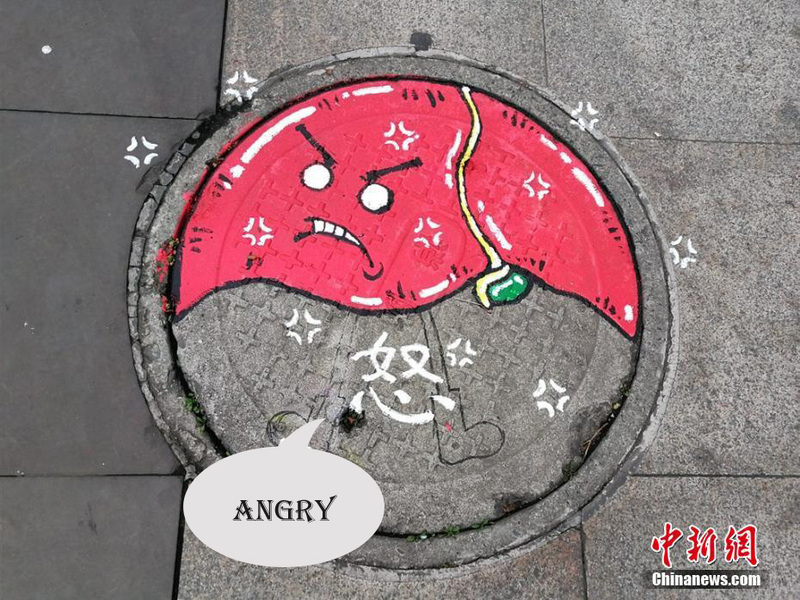 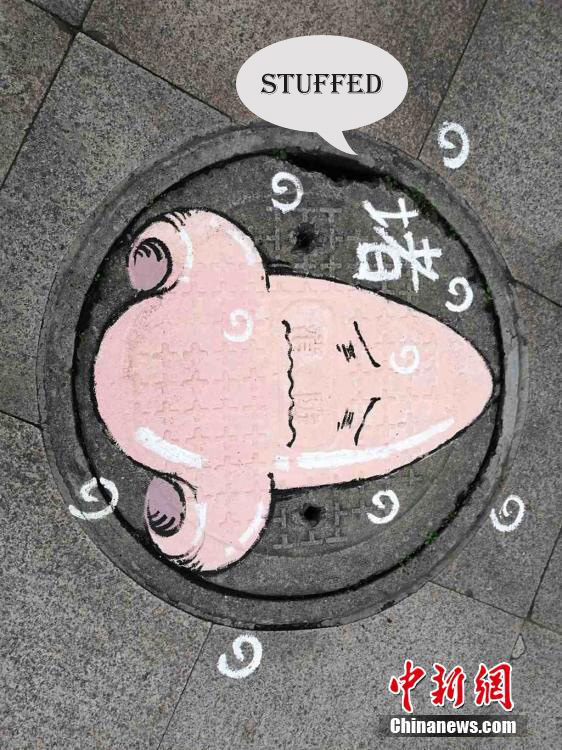 Students from Chengdu Medical College, Sichuan Province paint cartoon organ stickers on well lids on campus. 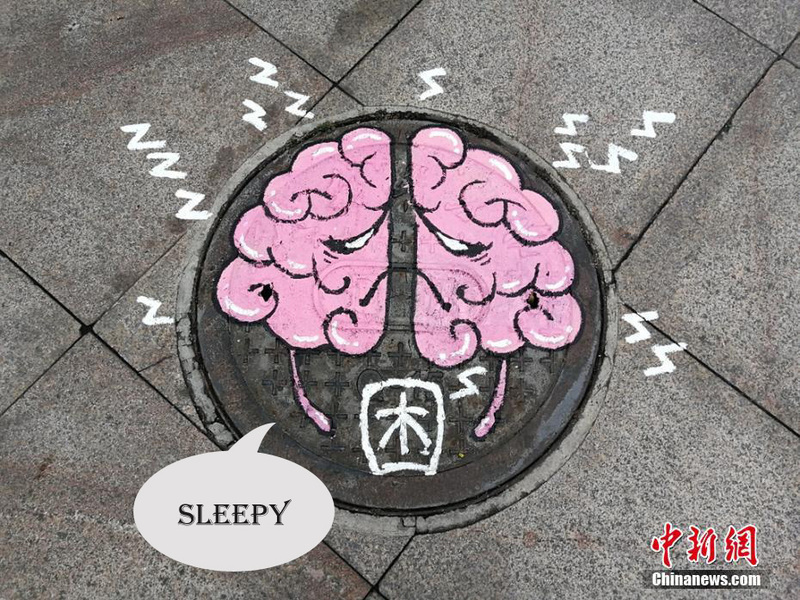 The photo shows a "sleepy" brain painted on a well lid. 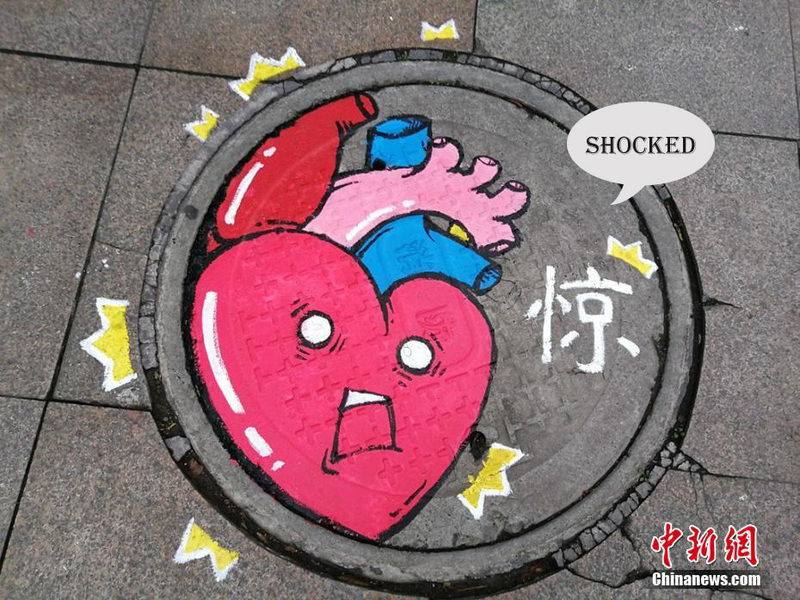 [Photo: Chinanews.com]"